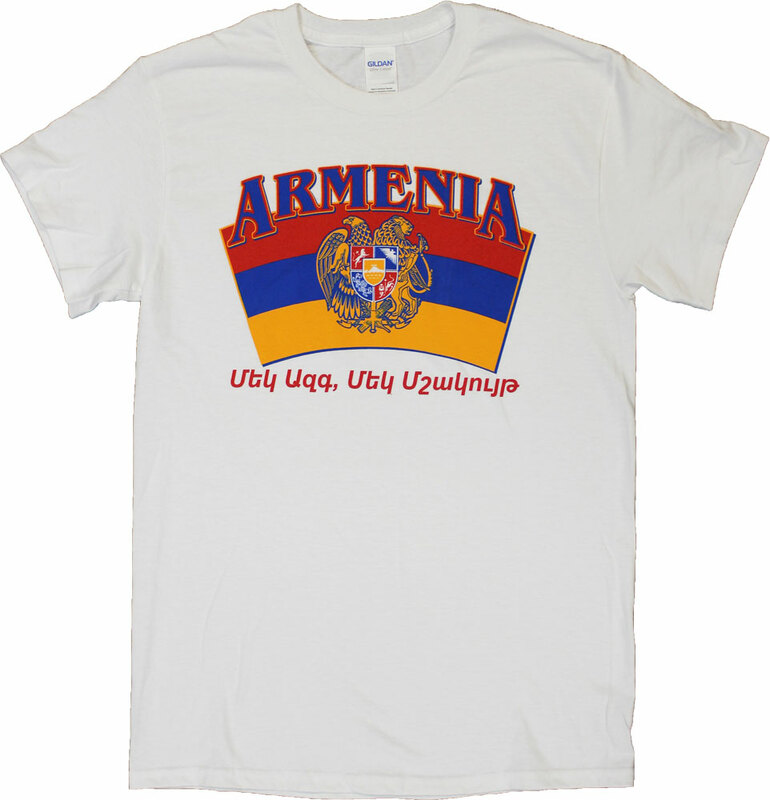 Our Armenia t-shirts are high-quality 100% cotton, pre-shrunk shirts. The arched image is on the front of the white t-shirt. They are in stock and ready to ship!